In 1852, William Vaughn made the first land claim on the Key Peninsula on the south side of the bay that now bears his name (map). Early homesteaders were the Olson, Davidson, Van Slyke and Coblentz families. Olson was a potato farmer and Davidson grew plums and dried them for prunes. Van Slyke and Coblentz were good friends and had traveled together from Kansas in 1886. After they arrived here, they mutually agreed that Van Slyke should run the sawmill and Coblentz should tend the store. In 1893, the community built a dance floor for the Fourth of July celebrations. Van Slyke donated land behind Coblentz’s store and provided lumber from his mill. A year earlier, Vaughn’s men had organized a horticultural society and prevented women from joining. In retaliation the women decided to establish a library association and excluded the men in return. The Vaughn Library Hall was built in 1894 by adding walls and a roof to the existing dance floor. The Vaughn Library Hall closed in 1958 and was converted into a private residence, but the library hall building remains standing today. In 2017 the Key Peninsula Historical Society assumed responsibility for the building, cleaned it out, and has begun the process of restoring the building. Van Slyke sold his sawmill to Reverend Applegate in 1897. Before the sawmill burned and he ran out of money, Applegate built the Vaughn Bay Community Church, which is also called the “Chapel by the Sea” because of its bayside location. 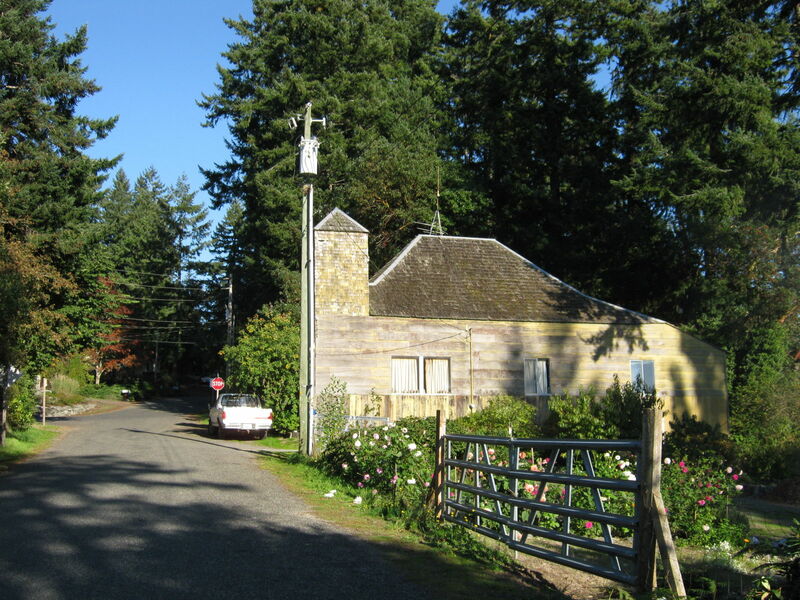 The Key Peninsula Historical Society Museum is also located in Vaughn.